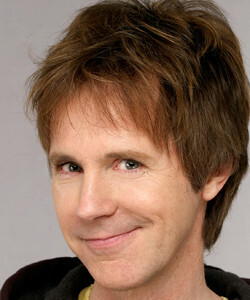 PALM BEACH, Fla. – Funnyman Dana Carvey will be the featured entertainer at “Solving the Neurological Puzzle,” the gala fund-raiser for the University of Miami’s Department of Neurology. Janet Levy and Camber Ransom are chairing the March 8, 2014, event at The Breakers. Michael Williams, Channel 5 news anchor, will emcee. Proceeds will benefit research, education and clinical care for victims of stroke, Parkinson’s, multiple sclerosis, Alzheimer’s, amyotrophic lateral sclerosis (ALS) and other neurological diseases. Carvey is an Emmy-award winning comedian and impersonator. He performed on the “Saturday Night Live” television show for seven seasons where he launched several well-known characters. Tickets for the gala are $600 each, with a limited number of VIP tickets available at $1,000 per person.